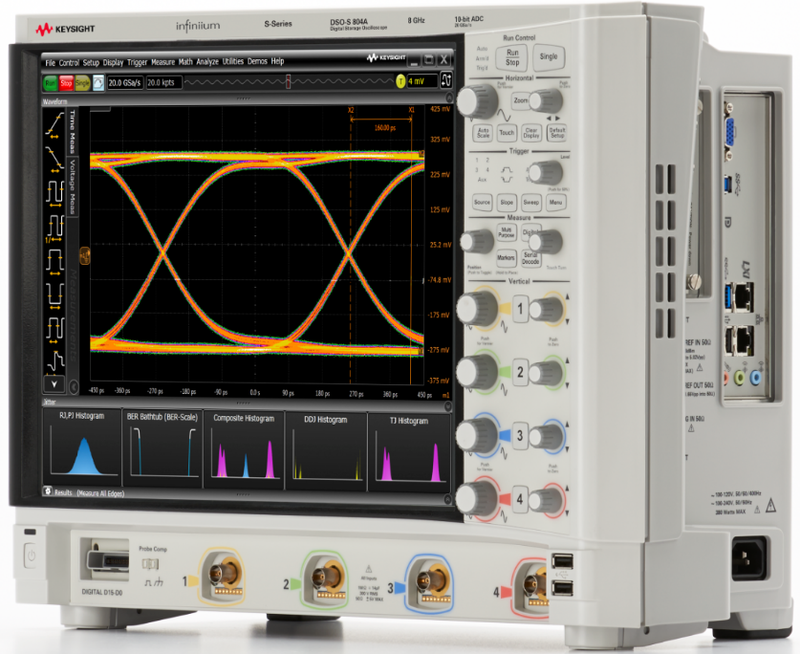 The Keysight S-Series Oscilloscope – The best keeps getting better! 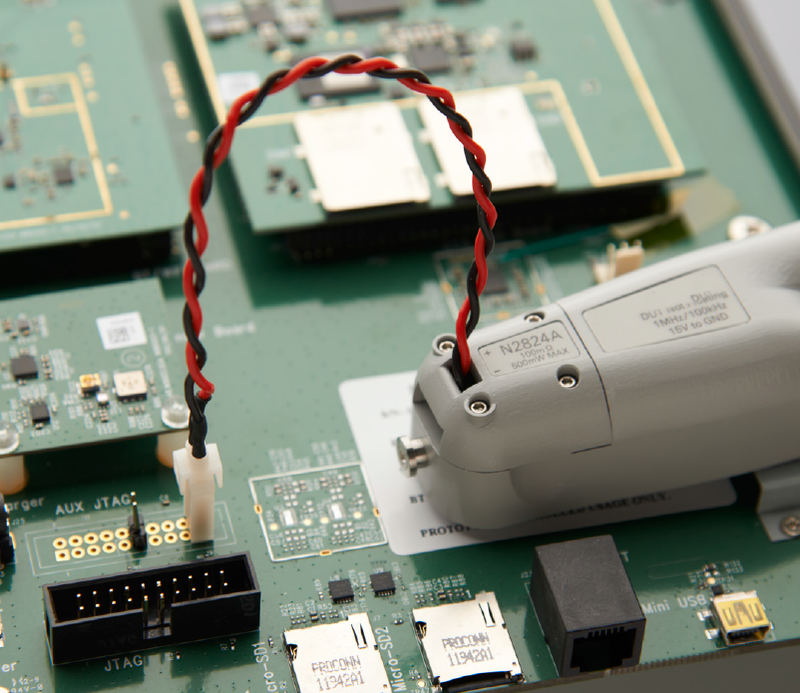 The Keysight N7020A power rail probe was designed for making power integrity measurements that need mV sensitivity when measuring noise, ripple, and transients on DC power rails. Many of today’s products have tighter tolerances on their DC power rails and the N7020A power rail probe is engineered to help assure your products meet these tighter tolerances by measuring periodic and random disturbances (PARD), static and dynamic load response, programmable power rail response and similar power integrity measurements. When you combine the power rail probe with the signal integrity of the S-Series you can validate power distribution design specs more accurately than any other probe/scope solution. As modern battery-powered devices and integrated circuits become more green and energy efficient, there is a growing need to make high-sensitivity, low-level current measurements to ensure the current consumption of these devices is in acceptable limits. The Keysight N2820A high-sensitivity probe is engineered to make high-dynamic-range, high-sensitivity measurements to meet these measurement challenges. The ultra-sensitive N2820A AC/DC current probe can support measurements from 50 uA to 5 A on Keysight oscilloscopes using a make-before-break (MBB) connector, which allows you to quickly probe multiple locations on your DUT without having to solder or unsolder the leads. It connects to two oscilloscope channels to provide simultaneous low- and high-gain views for wider dynamic range measurement. When used in combination with the Infiniium S-Series high-definition oscilloscopes this probe can deliver the ultimate high-sensitivity measurement solution. The Keysight N8837A Type-C Protocol Trigger and Decode software is the industry’s first oscilloscope-based USB-PD protocol decode/trigger solution. This provides insights to USB PD engineers working on ALT mode (alternate mode) for DisplayPort, Thunderbolt 3.0, and MHL. The S-Series are the only oscilloscopes that support hardware serial trigger on BMC signals, and allow you to quickly identify the root cause of both protocol and signal integrity issues. 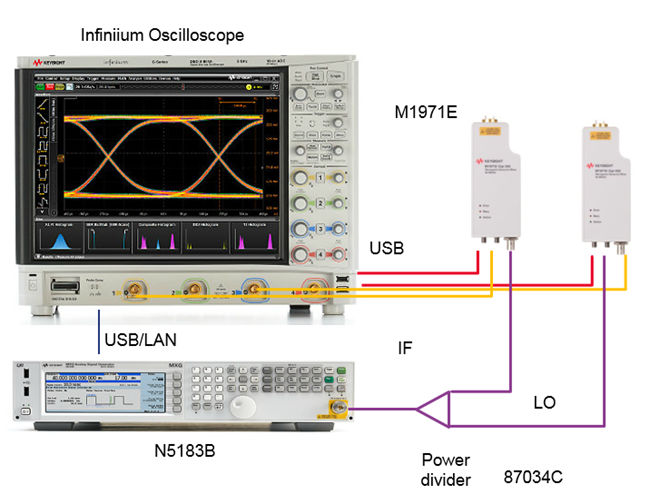 The Keysight MultiScope software application (N8834A) provides the ability to connect up to 10 Infiniium Series oscilloscopes for 40-channels of acquisition with a tight time correlation between the scopes with very low inter-scope intrinsic jitter. The software allows you to perform multi-lane analysis for applications such as optical networking, MIMO, DDR memory and high-speed serial standards. These signals are presented live on a PC with the N8900A Infiniium analysis software or on the leader scope, eliminating the need for a PC. The Keysight N8835A Enhanced Serial Peripheral Interface (eSPI) was developed by Intel as a successor to its Low Pin Count (LPC) bus. So it can test and trigger on not only legacy SPI data but also embedded controller (EC), baseboard management controller (BMC) and Super-I/O with extensive triggering for all key commands and responses. This standard allows designers to use 1-bit, 2-bit, or 4-bit communications at speeds from 20 to 66 MHz. The Keysight Serial Data Analysis tool (N5394A) has been enhanced to include Bit Error Rate (BER) eye contour capability, allowing you to cut testing time from weeks to hours! It extrapolates noise and jitter to show how an eye will close over time at various error rates. This allows DDR4/LPDDR4 designers to make BER measurements on command and data signals. The DDR4 and LPDDR4 JEDEC spec now have new data and timing design specifications with a Bit Error Rate of <1 x 10 -16. The Keysight BER contour measurement method addresses these new requirements. The Keysight N8838A E-band signal analysis solution delivers an integrated, low-cost wideband RF testing solution. Using a high-performance oscilloscope with an external mixer and signal generator we provide an integrated down-conversion system that delivers 2.5 GHz of analysis bandwidth over the E-band frequency range of 55 to 90 GHz. The Keysight N8803C software can help electronic system designers test and debug the physical layer of automotive serial buses faster. The CAN, LIN, FlexRay, and CAN-FD serial buses are the backbone for communication among many separate controllers, sensors, actuators, and ECUs located throughout automotive and industrial designs. These serial bus interfaces provide content-rich points for debug and test and the N8803C CAN, LIN, FlexRay, CAN-FD protocol decode is your view into these signals. 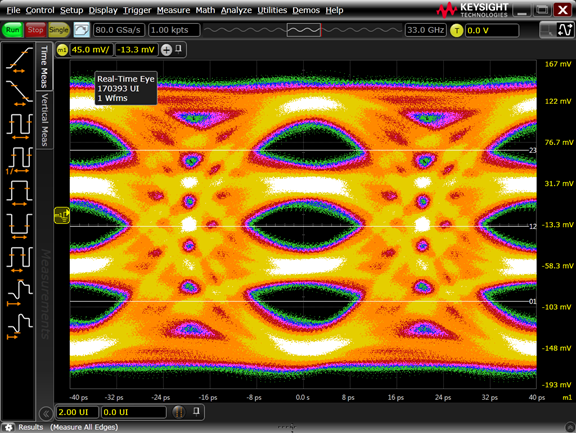 The Keysight N8836A analysis software helps you quickly identify design flaws by characterizing PAM-4 signals. As you can see our engineering teams have been hard at work continually adding new capabilities to our S-Series oscilloscope solution set to help you get your job done faster.